Universal Studios Orlando will be holding a virtual job fair on May 10th from 8 am until 3 pm with some same-day call backs. Universal CityWalk will be having an on-site open house on May 13th from 8 am until 3 pm. In 2014, the resort will be opening 8 new venues at Universal CityWalk as well as opening the Cabana Bay Beach Resort hotel & The Wizarding World of Harry Potter – Diagon Alley. As a result, the resort will need up to 3,500 new employees and is looking to fill full-time, part-time, and seasonal positions for everything from Food Services to Attractions to management. Some positions will begin immediately. 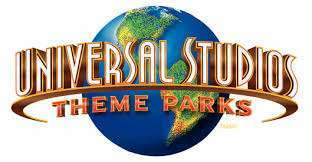 Universal Studios is dedicated to providing a great work environment for its team members. Base hourly pay has been raised to $9 per hour on June 1st. Team members also receive many benefits including free park admission, discounts, & complimentary guest passes. If you are interested in joining the team at Universal Studios Orlando and Universal CityWalk, please attend one of the job fairs or click here to apply online now! Good luck!! Previous Post SeaWorld returns another Manatee to the wild! Next Post Ihu’s Breakaway Falls to open tomorrow!